If you are thinking of changing your yard and using new fresh ideas and resources to change things then you have come to the right place. 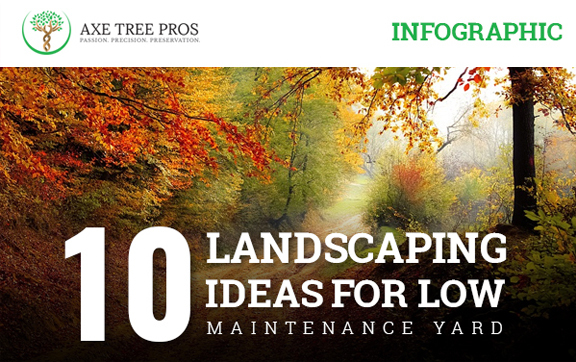 Axe Tree Pros, a phenomenal, Tree removal Service brings you an information info graphic depicting the ways and means how with limited resources you can change the whole concept of your yard and make it a better place. In order to create a new sitting area try to first focus on the empty spaces add stones plants trees shrubs to the mix and use as limited resources as you want by changing setting and ornamental grass. This can add substance and create a new feel with well lighting to make things more subtle.